Millie’s shoulders sagged as she realized one of her husband’s favorite soapbox topics had highjacked the evening. Millie glanced at the family across from them, “Seems to me, the kids have taken all the table conversation they can stand,” she said, catching bits of the couple’s angry exchange. 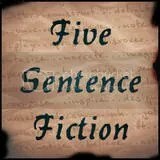 Five Sentence Fiction is about packing a powerful punch in a tiny fist. A five sentence story based on the prompt word. Want to participate? Check it out at Lillie McFerrin Writes and as always, I’d love to hear from you. Talk to me, tell me your story. 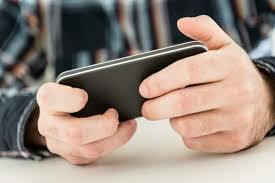 What I meant was we were bemoaning people who leave on their phones when we meet for lunch. Sorry about the confusion. 🙂 I understood what you’re trying to say. You out to dinner and suddenly you overhear a conversation and their sharing way to information! It’s almost too much to bare. Thanks, for taking the time to comment. I’m glad you stopped by the Cow Pasture and hope we talk again. And just today we were bemoaning the use of i-phones when we have met for lunch. Nicely told. Nicely written, you get the exhaustion with the old soapbox & turning to the phone at the end was a great turnabout. Thanks so much. I’m glad you liked it. I’m afraid ye’ old iPhone has ruined us all. Like your new rule I keep threatening to do the facedown rule during dinner. Phones are stacked face down at one end, and the first one to pick theirs up, pays for dinner. I’ll admit, haven’t been successful, yet. Appreciate your kind comments. It was a fun piece to write. Thanks! I’m sure we all have had similar experiences.